On July 19, 2014 the Bend Oregon Outrigger Canoe Club (BOO) competed in the Gorge Distance Race hosted by Waterwalker at Stevenson Washington. The race was approximately 12 miles and is one of the most challenging races of the year. Check out the map for details. The Columbia River Gorge is a canyon of the Columbia River in the Pacific Northwest and is well known for its extreme wind and fast waters. In Bend, OR practice is held from March into the Fall in the relatively calm waters of the Deschutes River. 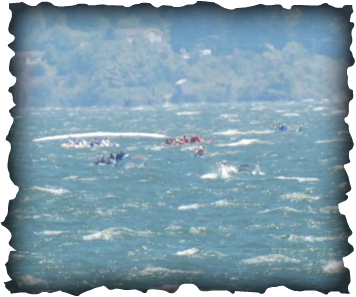 Even though many members have experience in the open ocean and in the conditions of the Columbia River, the conditions in Stevenson, WA on July 19 were very challenging. Cut to a pre-race huli – and the men’s open OC-6 team got a hasty and wet warmup. One of the more experienced of the BOO men’s team, John Von Gaertner was very pleased with how the team calmly got the canoe upright and back ready to paddle. One thing he did mention was that the iako was set at 69 inches. In the wind and wave conditions it might have been better to set it out a bit further. As it was, there was little extension of the iako past the hull so when they tried to stand on the end to counter-balance and right the canoe there was very little footing. Some of the teams had added weight to the ama – which is allowed. That and other strategy decisions are part of what makes racing in challenging conditions so compelling. SUP athlete and guest paddler, Glenn Haupt (Bend) explained, “We managed to right the canoe and get back in fairly easily. It was good experience for me to huli – and then get my mind back into thinking about paddling, timing, keeping up my power and focusing on my stroke. 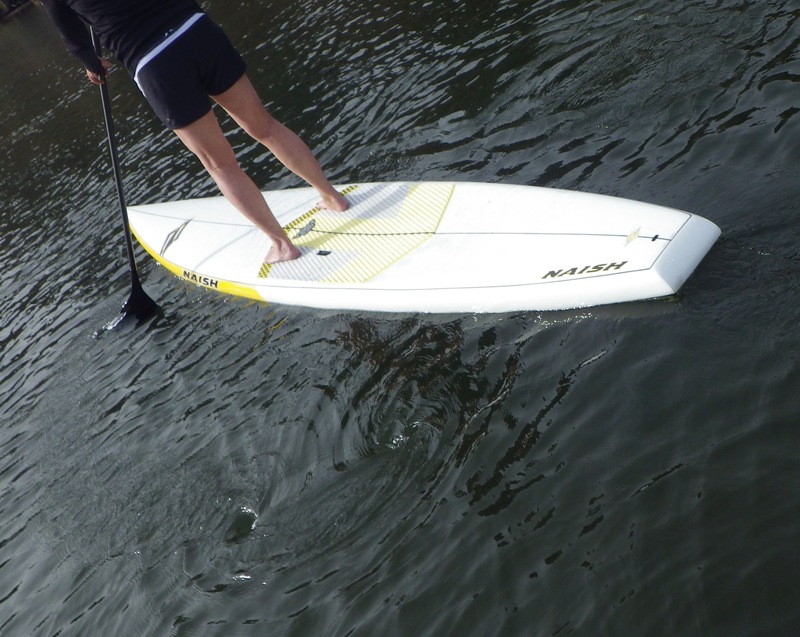 It was my first time catching waves from anything larger than a SUP raceboard. Coming from Oregon you cross the Bridge of the Gods to get to the little town of Stevenson, site of the Gorge Outrigger race. Here you will find one of the most beautiful views in the Pacific Northwest and definitely one of nature’s most challenging race courses. The BOO Women’s team paddled the gnarly 12 miles in 1:51:15 – which is a long time to stay focused, tough and fast in big winds and waves. They scored a 4th place finish among 12 starting canoes – huge shout out for an amazing race! Here are some photos from the 2012 and the 2013 race – view and enjoy.